The lure of Dubai property has always been too good to resist for investors from the Sub-Continent. No surprise then that Indians have yet again topped the list of non-Arab investors pumping in money into Dubai real estate. According to statistics from the Dubai Land Department (DLD), Indian investors deployed more than Dh20.4 billion through 10,628 transactions in Dubai property in the past 18 months. Pakistani nationals also made their way into the list of top five nationalities, with 5,398 real estate transactions worth approximately Dh7 billion from January 2016 till the end of June 2017. “Indian investors are typically from older, well-established families in Dubai known in the textile industry/gold manufacture/retail business,” says Cheryl McAdam, residential valuation manager, ValuStrat. Several Indian investors look at Dubai as a home away from home, with family and friends living here. The ease of doing business in Dubai with good regulation that protects investors and high yields compared to what they can achieve back home are some of the main drivers of demand for Indians. “They have heard and experienced the successful Dubai real estate story over the years. The UAE airlines, being a big connector for people from the Sub-Continent to the West, play a positive role as many people do a fly-by-Dubai and with each visit, get more familiar with well-marketed projects such the Palm Jumeirah, Downtown and Marina,” explains Sanjay Chimnani, managing director, Raine & Horne Dubai. The strength of the Indian rupee against the US dollar in the past year has also helped Indian investors looking to expand their real estate investment footprint into Dubai. Meanwhile, Emirati investors topped the list of nationalities deploying money into Dubai real estate in the past 18 months. They made approximately 12,000 investment transactions worth Dh37.4 billion. 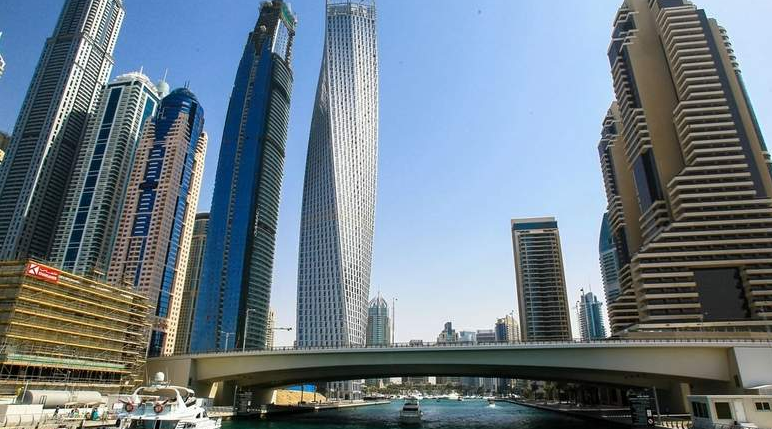 They lead the pack both in terms of the number and value of registered property transactions in Dubai. “Emiratis buy all kinds of real estate – across all price ranges, from development land, to villas in both local ownership and freehold areas, hotels, blocks of offices and apartments, warehouses, schools and hospitals,” observes Declan King, managing director and group head real estate, ValuStrat. While Emiratis have traditionally been the biggest investors in non-freehold areas, they are now making significant investments in Dubai’s freehold areas too. “Emiratis love the real estate class of investment over other asset class like stocks and bonds. Many Emirati families have large real estate portfolios. They develop full buildings and lease out units. Similarly, they buy a plot of land and build a gated community of villas [Jumeirah and Barsha]. Many of them don’t necessarily sell to make a quick profit, they take a long-term view of steady rental income. Besides, many of them keep adding to their land bank for future developments,” adds Chimnani. The DLD also revealed that 217 nationalities invested Dh151 billion cumulatively into the city’s real estate market through 71,000 transactions. Among Gulf investors, Saudi nationals topped the list with 5,366 transactions worth Dh12.5 billion while Brits took pole position among European investors with 4,188 transactions worth Dh9 billion. Investors from Egypt, Jordan, China, Lebanon and America accounted for the other five top nationalities buying Dubai real estate. “Many of the foreign nationalities counted in DLD statistics are resident in Dubai – earning their income in dirhams. Therefore, they are somewhat immune to currency fluctuations at the time of a property purchase. However, depreciation of foreign currencies has a definite impact on those generating earnings in their home countries – making Dubai real estate significantly more expensive for those transferring funds from some locations abroad,” concludes King.